It’s always a thrill when I find one of my books being sold in faraway places. 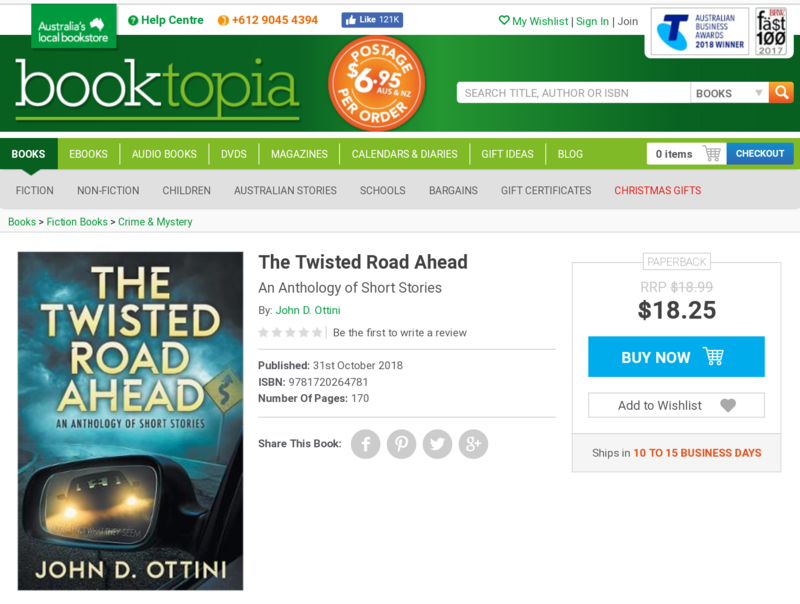 I just discovered that my latest book The Twisted Road Ahead is being sold on the booktopia website. booktopia is Australia’s #1 Online Bookstore. This entry was posted in News, The Twisted Road Ahead and tagged bookstore, Online Books. Bookmark the permalink. This is way cool. Thanks for sharing. May this time of year continue to bring great things for you and yours. Thanks Lynn. Same goes for you. Much success in 2019. The excitements that get the wheels rolling and rumbling all over and over again. Wishing you the most of it.